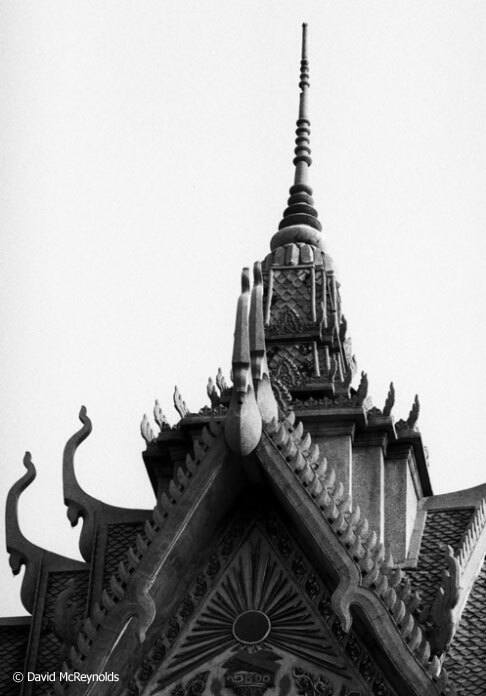 Following meetings in Japan, David and his friend Peggy Duff traveled to Saigon to support the Buddhist Uprising, in opposition to the military government and escalation of the Vietnam War. Peggy took this picture of David with their translator. 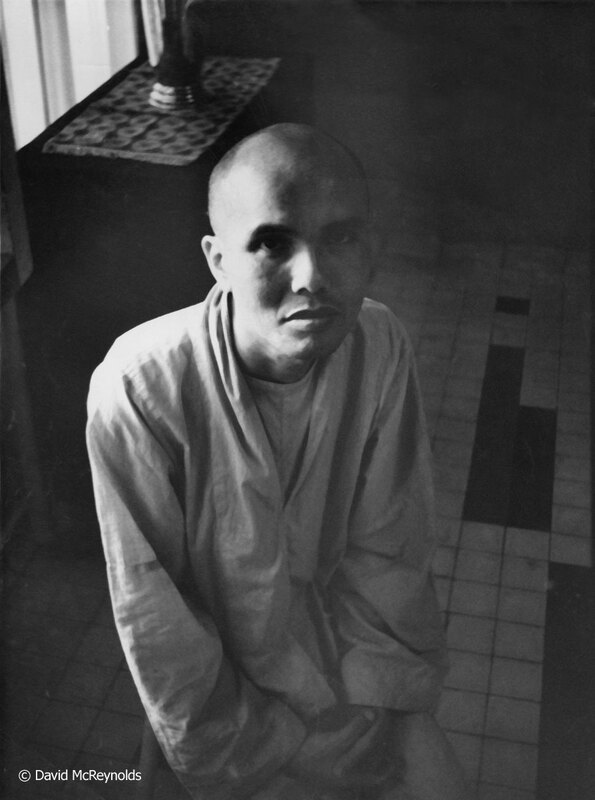 Thích Trí Quang under house arrest in 1966, a leader of the Buddhist opposition to the government of President Ngô Dình Diem. The translator took a big risk taking David and Peggy to meet Thích Trí Quang. War Resisters League sent David to Vietnam in 1971 with Joe Urgo (beard) and Judy Lerner (middle) after a conference in Japan. Their delegation was welcomed by officials and representatives of many organizations. One of the team of translators for the delegation. Hanoi, 1971. Ruth Gage Colby, in hat, visited Vietnam as part of another delegation. Colby was active with Women Strike for Peace, among other peace groups. Judy and Joe at a meeting with local officials. Hanoi, 1971. Child near sidewalk bomb shelter. Hanoi, 1971. Today David says, “The Vietnamese were so welcoming, so friendly, so curious. These shots are heartbreaking. They had four more years of death ahead. 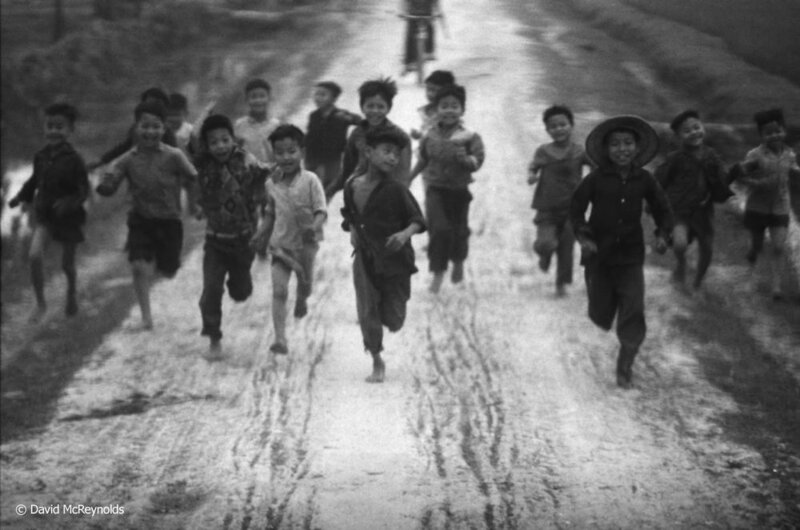 ” Hanoi, 1971. 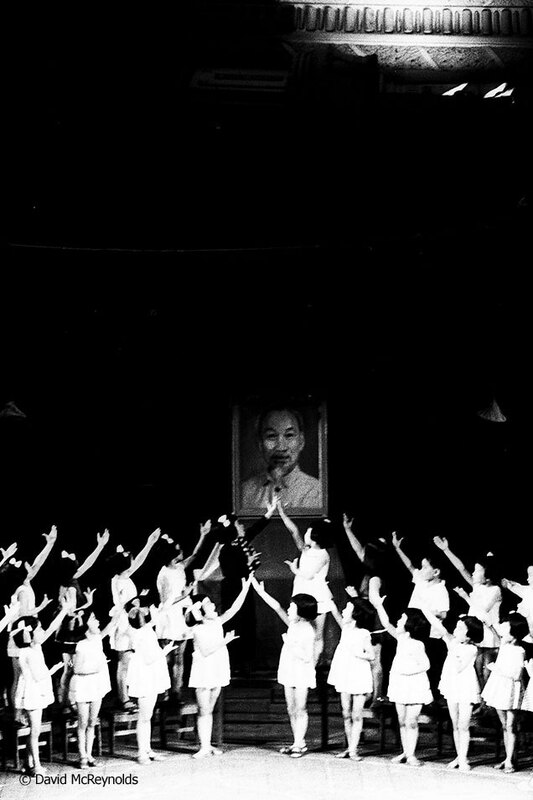 Students at youth rally, Hanoi 1971. Catholic Church and congregation after mass. Hanoi, 1971. Women in park. Hanoi, 1971. 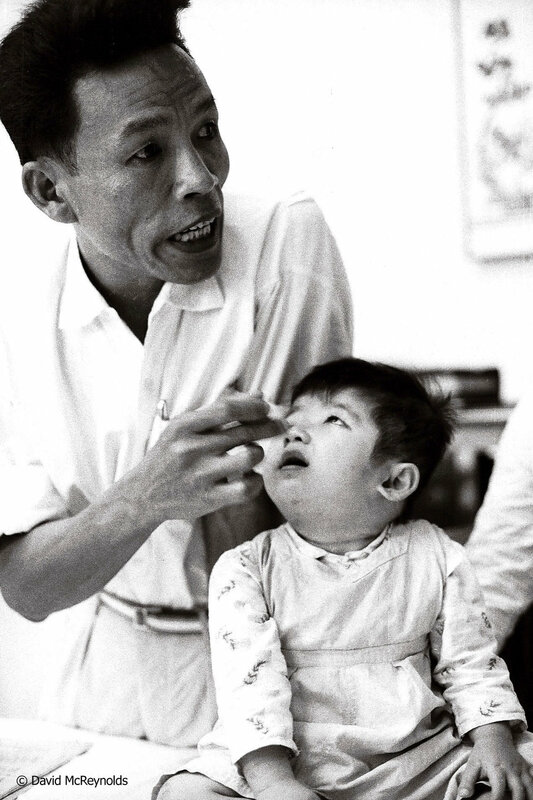 Child deformed by agent orange. Hanoi, 1971. Joe Urgo, a Vietnam Vet, leaving the war museum in Hanoi, embracing the Vietnamese guide who was, himself, a veteran of that war. Hanoi, 1971. 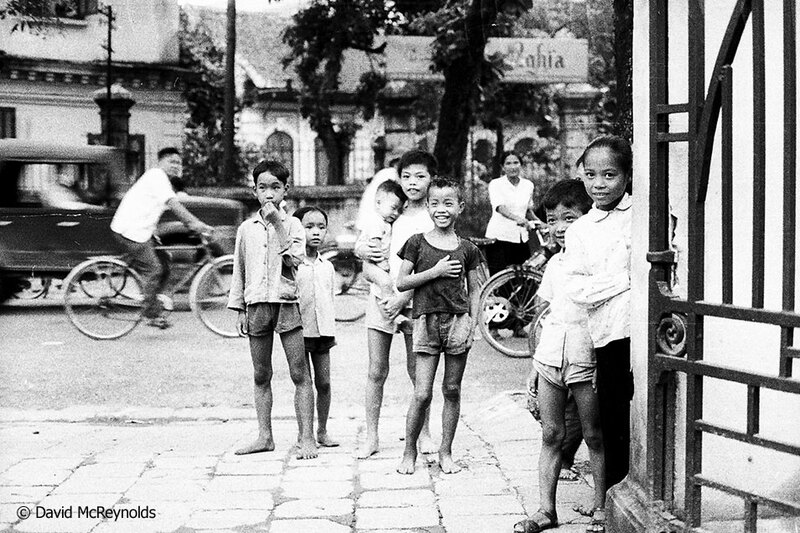 Members of the Children’s Show troupe, Hanoi 1971. 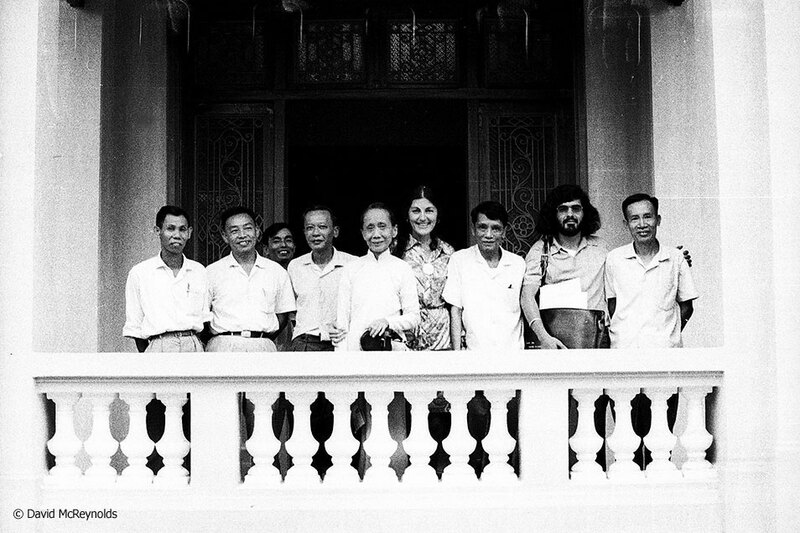 The group visited a hospital in Hanoi, hosted by Dr. Tung, seated middle front. Tour leader Don Luce is leaning in at right, and Jerry Elmer is seated, right front. Photo by unknown photographer with David’s camera. At a time of great poverty in Vietnam, the hospital gloves needed to be washed and reused. 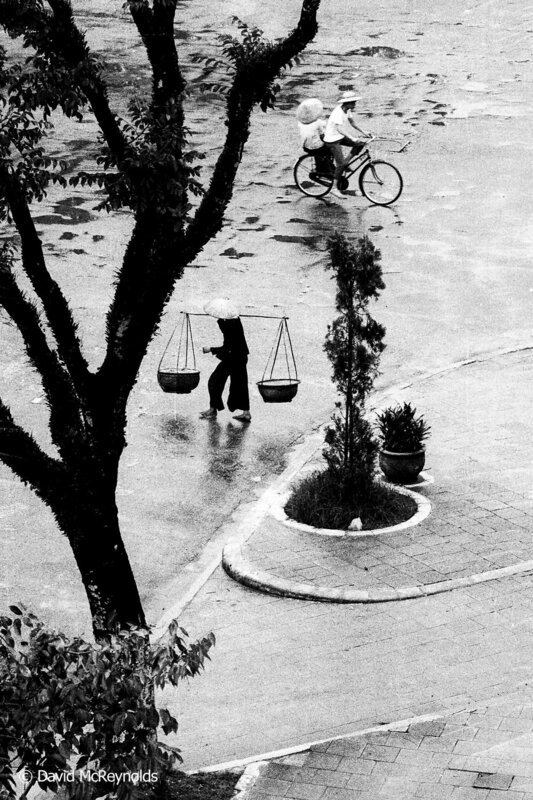 Hanoi, 1981. One of the tunnels used during the war. Children in a church, 1981. Christian church in Hanoi, 1981. 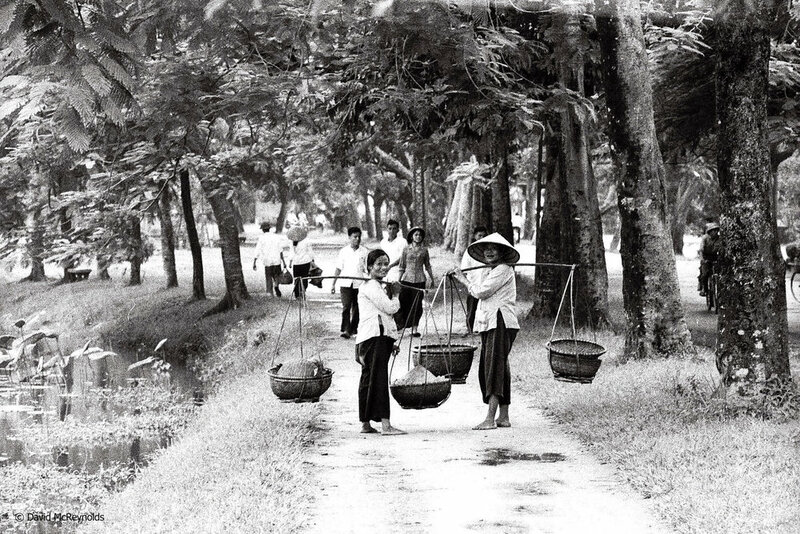 After Vietnam, the group went on to Cambodia. The Khmer Rouge government of Pol Pot collapsed in 1979. 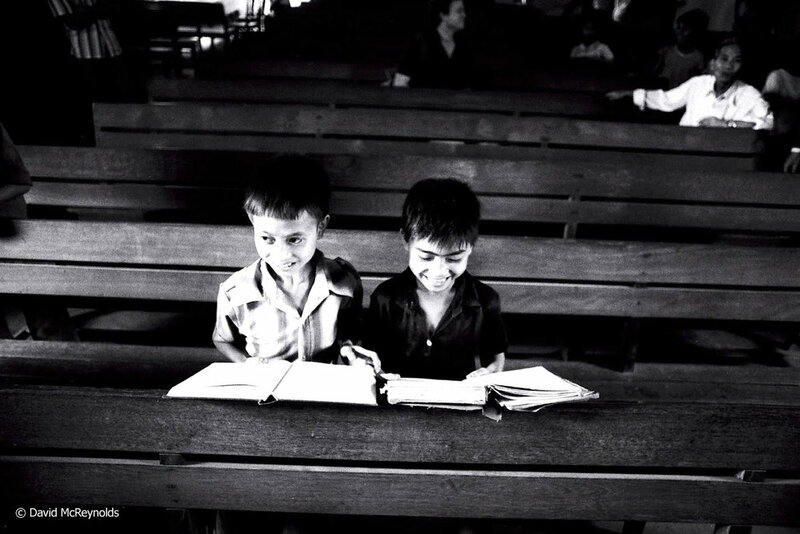 About 25 percent of the Cambodian population died during their rule. In 1981 the country was still in transition, under Vietnamese occupation with a new government-in-exile forming. War damage was still widespread in Cambodia in 1981. Boys in front of the destroyed national bank building. Nun in front of a burned out temple. Visitors from the U.S. were a curiosity.